We’re playing matchmaker and pairing celebrities up who we think would be perfect for each other. Whether it’s because they’re friends in real life, like Ellen and Alexander, or because they have common interests, like fellow young wilder-outers Justin and Miley, or just because they’d look smokin’ hot together, like George and Sandra, these are five celebrity couples we wish would happen in real life. We hope you’re listening (you can thank us in your wedding speech later). They’ve been lighting up the Venice Film Festival red carpet together for their movie, Gravity, and acting adorable for the photographers. He kissed her hand, she wiped his brow. Not only is their photo chemistry intense, but they would make such a handsome couple. 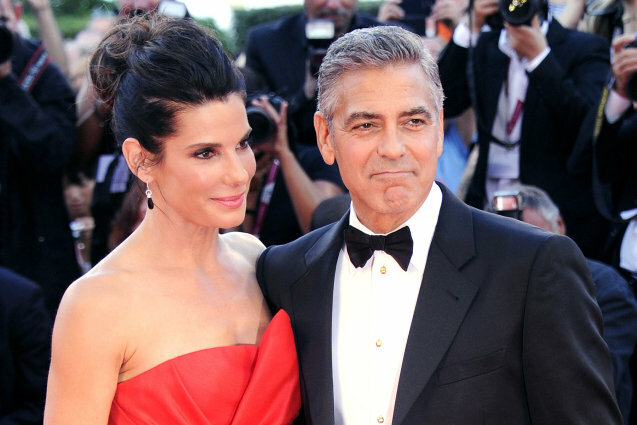 Move over, Posh and Becks, Gisele and Tom — George and Sandra will be the best-looking couple in Hollywood. We really, really hope. Ellen Page and Alexander Skarsgard fueled rumors of a romance when she posted an Instagram pic of her leaning on him while he kissed her head, inducing an “awww” heard around the world. However, a source confirmed that they’re just friends, crushing our hopes. The best foundation for a relationship is a solid friendship, right? But seriously, how ridiculously cute would they be? Justin Bieber and Miley Cyrus have both exhibited some wild and questionable behavior recently. He peed into a mop bucket and caused a ruckus, she twerked all over Robin Thicke and caused a ruckus. Why not join forces and wreak havoc together? With his shirtlessness and her pantslessness combined, I don’t even want to know what kind of trouble these two could get into. 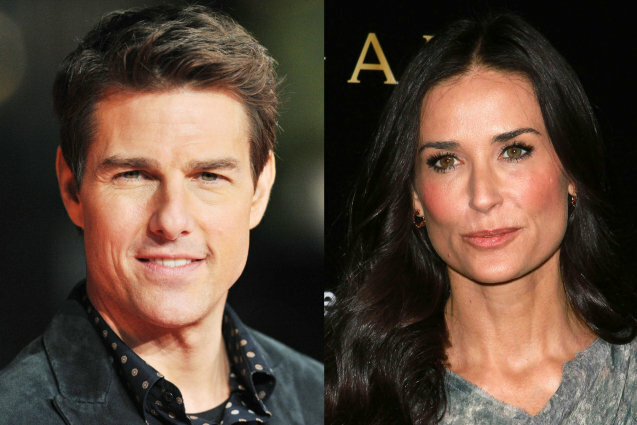 Even though Tom Cruise and Demi Moore don’t really run in the same circles, they might hit it off as a couple. They’re less than a year apart (he’s 51, she’s turning 51 in a few months) and both were dumped by much younger spouses somewhat recently, so maybe it’s time for them to try dating someone their own age. They could reminisce about the 80s and actually know what each other was talking about. This may seem like an odd pairing, but hear me out. He’s perpetually sad and sometimes looks homeless sitting on a bench in his tattered jeans; she rarely smiles and more than occasionally dresses like a hobo. But they’re both incredibly good-looking underneath all that misery, so why shouldn’t Keanu Reeves and Kristen Stewart brood and go shopping at Goodwill together?